I’ve saved my favourites until last. 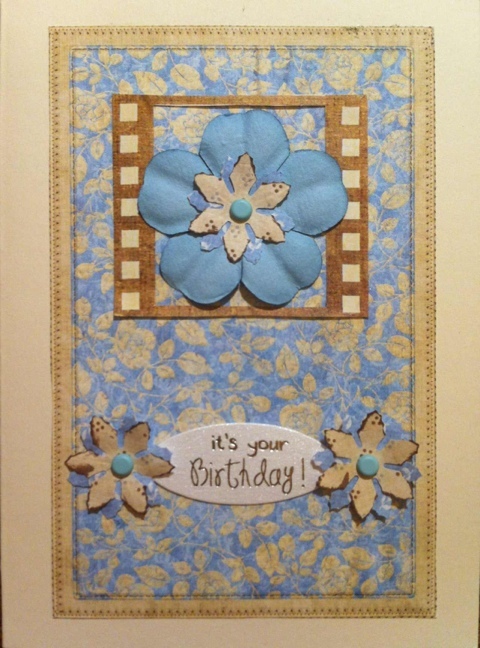 They contain my four favourite card-making materials: ribbon, brads, paper flowers and peel-offs – perfect! The *only* thing I don’t like about them is that they’re too thick to post as a standard card, and need a large letter stamp. 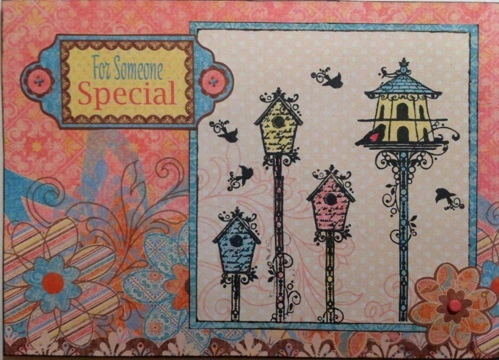 But, you can’t have everything, and I think these cards are so pretty that I have actually gone against my natural instincts and posted a few of them! I had such a lot of fun making these. I’ve made 13 in total, all slightly different. The flowers and epoxy brads in the centres are from the same range, and I bought them at the NEC craft fair back in November. 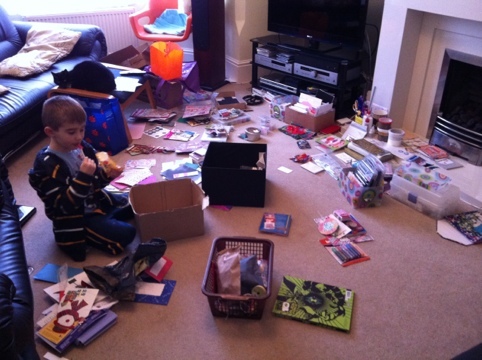 The various ribbons have been either puchased or received in swaps. I started by making the flowers and choosing a suitable brad to go in the centre of each. 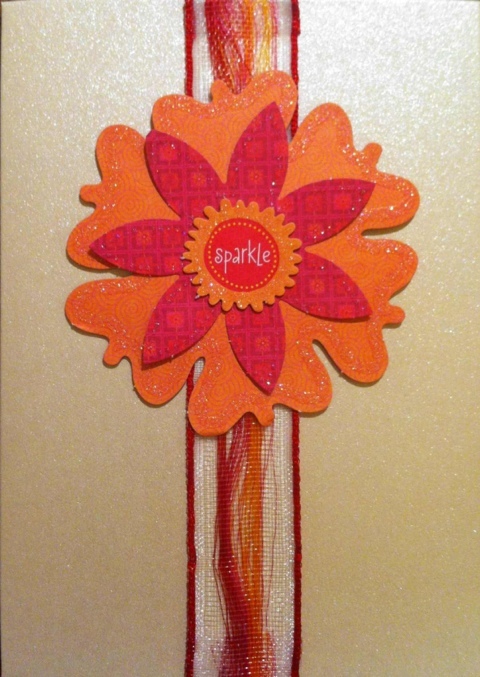 When I had a pile of those, I had to decide which ribbon would go best with which flower. Then finally I could choose the card blank. 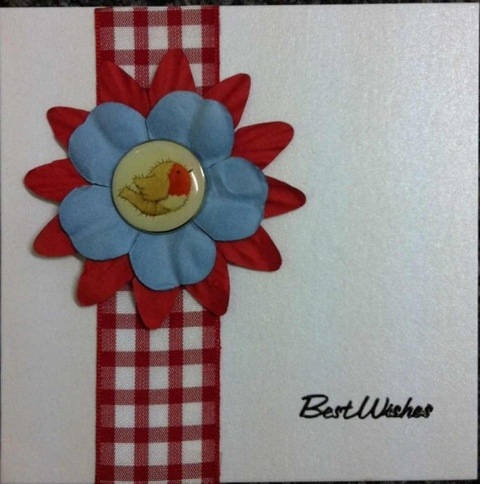 It took a while to get to the ‘construction’ stage of cardmaking, but once I did, the cards came together really quickly. Choose two or three different sized paper flowers in complementary colours. 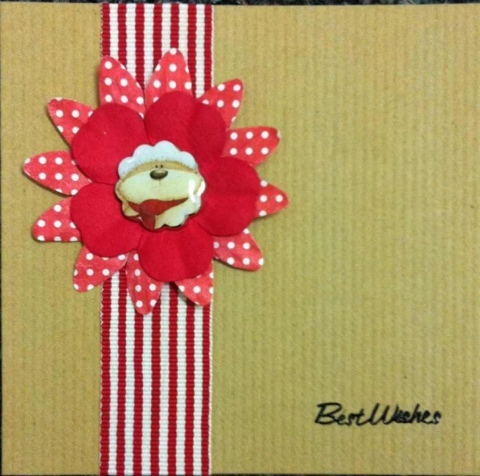 Use a matching Christmassy epoxy brad to attach the flowers together. 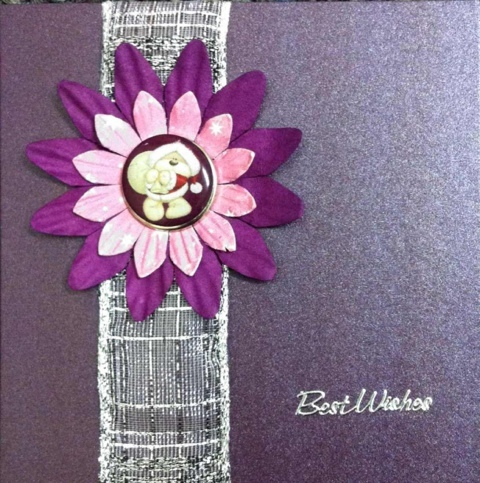 Choose a suitable colour small square card blank and ribbon of about 1 inch width. 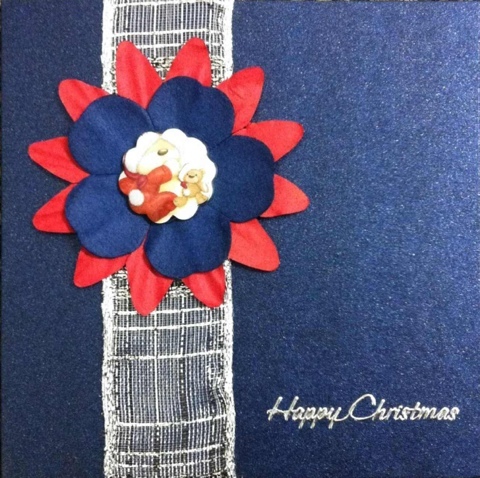 Wrap the ribbon vertically around the card about a third of the way from the crease. Secure with double sided tape. Attach the flower about two thirds of the way up the ribbon. Either use double sided tape, or make a small hole and push the brad through the card to secure it. 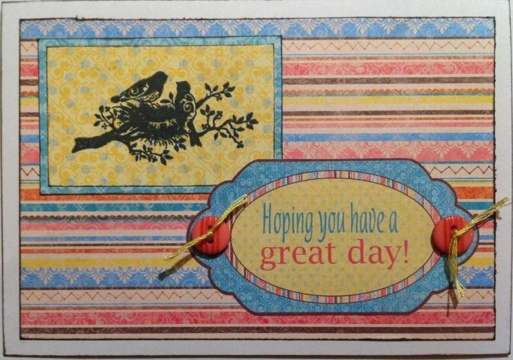 Place a greeting peel-off in the bottom right corner of the card. I like to use double sided tape to attach ribbon, but it does depend on the type of ribbon you have chosen as to how you do this. 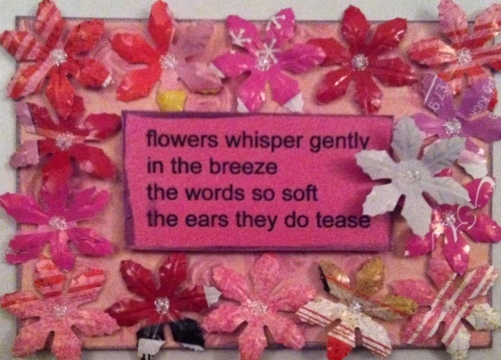 The silver ribbon in the blue and pink cards above is thin and the stickiness of the tape comes through it. I used a double layer of ribbon by folding it under itself before using the tape, and this seemed to work well. I did also pop a bit of tape under the ribbon where the flower is attached, to give a bit of extra security. 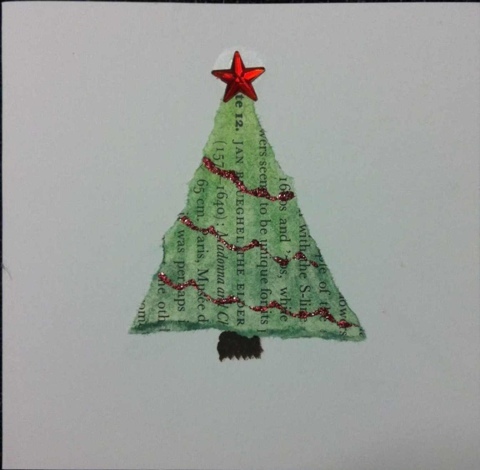 So that concludes my Advent Christmas Card Challenge! 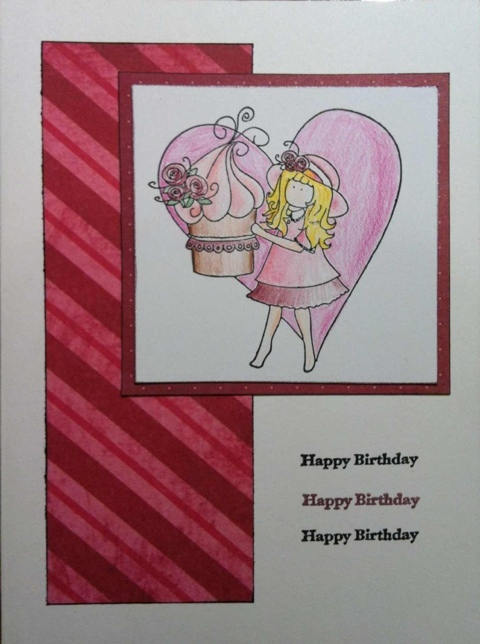 Thanks for reading, I hope you’ve enjoyed it, and I also hope that it’s inspired you to get making some cards yourself. I’d love to see your efforts, so please do post a link to your blog in the comments below so I can see what you’ve been up to! 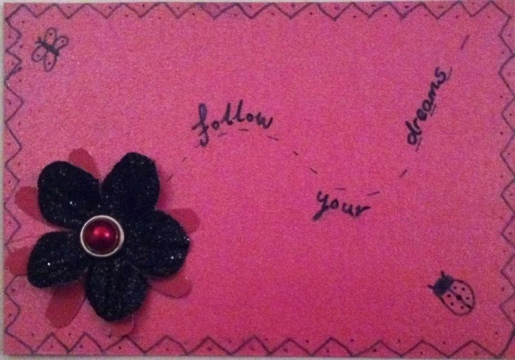 I blogged about embossing in a post I did for last April’s A-Z Challenge – you can read it here. I recently invested in a proper light box (well, invested is hardly the word – it was an absolute bargain! ), and a few more brass stencils, one of which was a poinsettia. I found the plain blind embossed image a bit too subtle for my tastes, so I coloured it in carefully with chalks. 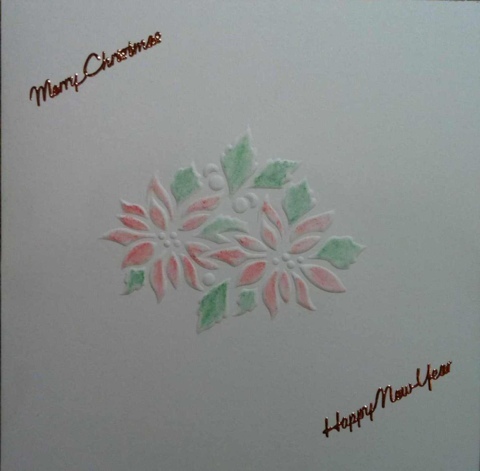 Blind emboss an image of a poinsettia directly onto the centre of a plain white square card blank. 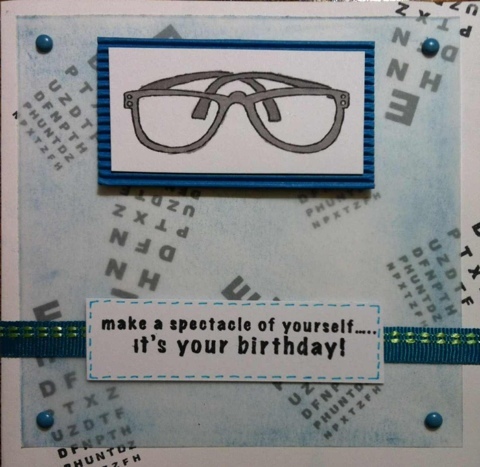 Add a peel-off greeting in the top left and bottom right corners. 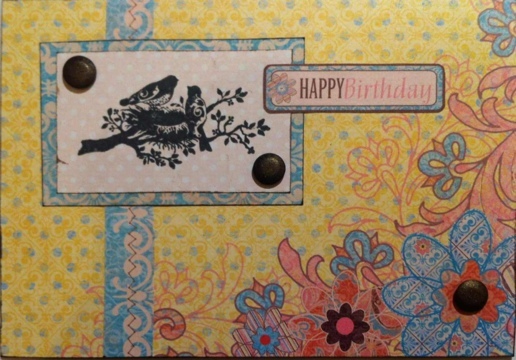 The second card was just as simple, I just embossed the image onto loose card rather than a card blank. 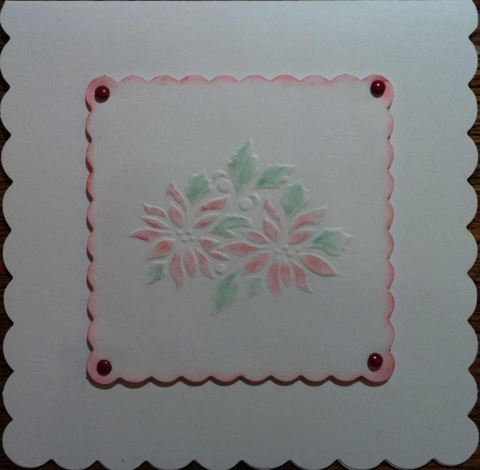 Blind emboss the image of a poinsettia onto a square of scalloped white card. Use coloured chalks to carefully add colour to the design, and also around the edges of the scallops. Put a red brad in each corner of the square. 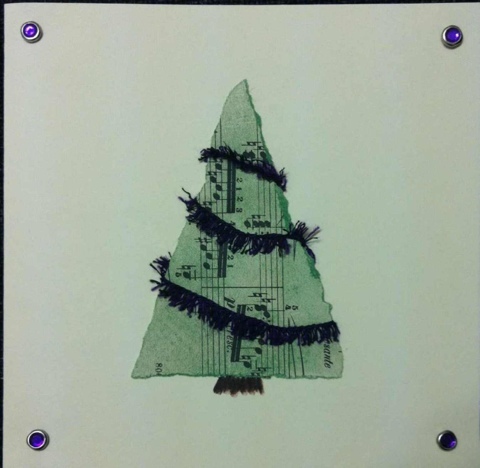 Mount this topper onto a square scalloped white card blank, using adhesive foam pads. I haven’t used a greeting on this one for a change. I like its simplicity as a result.